Youth Radio reporters at the annual Summer Youth Reporting Institute pitch, report, write and produce radio news stories on assignment for broadcast on North Carolina Public Radio - WUNC. These young people tell stories about their community in their own voice. 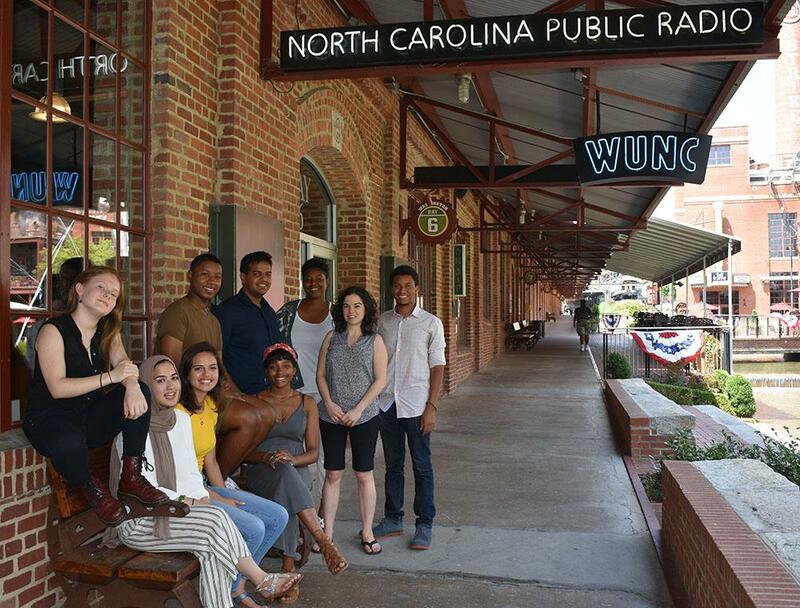 WUNC Summer Youth Reporter Lily Rao reports on what it's like to be a mixed-race American. My mom is white. My dad is Indian. This leaves me with brown skin. When I was younger, I didn’t pay much attention to the fact that I was brown-- it was as normal to me as my brown hair. I soon realized that not only were the characters Kim Possible, Cinderella, and Nancy Drew all white, but all of my classmates and friends were white, too. WUNC Summer Youth Reporter Rajeev Dutta is a recent graduate of the North Carolina School of Science and Math. He told us what he really wanted to do this summer -- was play music. Hayden Davis is an 18 year old Biomedical Engineering student at UNC Chapel Hill. He drives between work and home in his 2004 Honda Accord most weekdays. Joan Cohen is a senior resident at the Forest at Duke. She is a potter and uses a walker to get around her retirement community. WUNC Youth Reporter Rose DeConto reports on what it's like to grow up LGBT in Durham. Growing up LGBT in a world that constantly shifts forward and backward on how it tolerates you, it's hard to know where you stand with the people around you. Is Youth Activism Enough To Make Young Voters Believe In Voting? Youth Reporter Anthony Howard reports on efforts to get more young voters to the polls this November election. In light of the school shooting epidemic across the U.S., many teens have become more active within their local communities and are taking a stand for their beliefs. Youth in Parkland, Florida, and other regions across the country, have encouraged other young people to advocate for issues, big or small. Among those issues is the question of voting. As some youth register to vote for the first time, some are skeptical about what voting can actually achieve. WUNC Youth Reporter Zara Khan reports on how immigrant families work to preserve their native languages. Language is one of the first things you learn growing up, but when you’re a first or second generation immigrant, it’s hard. Balancing both English and your parents’ tongue usually results in the loss of one. For a lot of my friends, fluency starts to fade and becomes, as my friend Noor Abualhawa says, "Imkasar." Summer Youth Reporter Kenzi Patrick shares her views on gun control after talking with her grandfather and friends. When I was a little girl, I lived with my grandfather for a while and I remember hearing him talk about his gun. I never really saw his gun growing up, but hearing him talk about it made me feel safe in a way, like no matter what happened, I would be protected because of his gun. Youth Radio reporters at the annual Summer Youth Reporting Institute pitch, report, write and produce radio news stories on assignment for broadcast on North Carolina Public Radio - WUNC.